"You can't solve a problem on the same level you created it." Suppliers is an important category of stakeholders of any organization. Every organization needs suppliers. They may be producers, distributors, retailers, vendors, or contractors for certain products needed by the organization including providers of service or information. From the organization's point of view its suppliers represent business to business (B2B) situation that normally differs from the business to consumer (B2C) cases. Outsourcing has created a new interesting category of suppliers, especially those who are globally distributed and far away from the organization ("off shore outsourcing"). Importance of the suppliers for the quality integration (or quality management) of an organization is emphasized in all recognized references of the quality profession, especially in the ISO 9000 standards and performance excellence models. An organization and its suppliers are interdependent, and their mutually beneficial relationship enhances the ability of both to create value. In fact, therefore in a genuine supplier relationship we may always also find a customer relationship, and we can talk about partnership. A successful partnership between two independent parties presupposes that both of them should benefit of the relationship and cooperation. Both parties should also give something of his / her own resources in order to get the benefit. Both parties have, however, differing value scales based on their own identity and interests for the partnership. Positive net value (value receivables minus loss) is essential to the both parties (see the figure). Supplier management is not the most suitable expression to describe clearly the cooperation of an organization and its suppliers. Instead of that a win / win approach (according to the figure) is more useful and may be seen as the foundation for a sustainable and successful partnership. Thus, the new emphasis in the concept supplier management should be how to promote through an organization's management practices and decisions the mutually beneficial collaboration with its supplier partners. An organization's suppliers form a network, and it is useful to consider that also together with the organization's customer network. Still many references talk about supplier chains and value chains but today this is a rather poor view to the organization's supplier situation as a whole. Researchers of modern business management have proved that today's networked forces of business environment - including buyers, suppliers, substitutes, competitors, new entrants, digitalization, globalization, and deregulation - are wreaking havoc on the value chains. One can be sceptical that an organization can even truly execute any plan for optimizing a value chain. In various industries existing competitive advantage is being wiped out as new competitors quickly produce new value creating structures that use new technology especially for communication. Organization's strategy can no longer be based on tinkering with today's value chain but to find ways to alter it radically. The concept of value network has actually much greater power to create benefits and to avoid stumbling when confronting rapid changes in the market place and technology basis for business. Value network is the context within which a firm identifies and responds to stakeholdes' needs, solves problems, procures input, reacts to competitors, and strives for profit. Within a value network, each organization's competitive strategy, and particularly its past choices of markets, determines its perception of economic value of new business solutions, e.g. based on new technology. Quality assurance refers to measures with which a supplier strives for getting its customer-organization convinced of the fact that the requirements pertaining to products are met and that the supplier has reasonable abilities for that. The practices are quite analogous with which the organization creates and strengthens confidence among its customers. There are many possible solutions for establishing quality assurance but the essence of a good quality assurance - and also as a whole a good supplier relationship - is always an effective communication between an organization and its each supplier. There are continually business actions between the organization and its suppliers that reciprocally influence each other. The added value to the parties is created by these transactions, but there are always also involved costs, so called transaction costs. The transaction cost theory was created in 1937 by Ronald Coase. He described the issue in his article "The Problem of Social Cost": "In order to carry out a market transaction it is necessary to discover who it is that one wishes to deal with, to conduct negotiations leading up to a bargain, to draw up the contract, to undertake the inspection needed to make sure that the terms of the contract are being observed, and so on." Coase's theory has a strong impact to structures of organizations and their supplier networks. 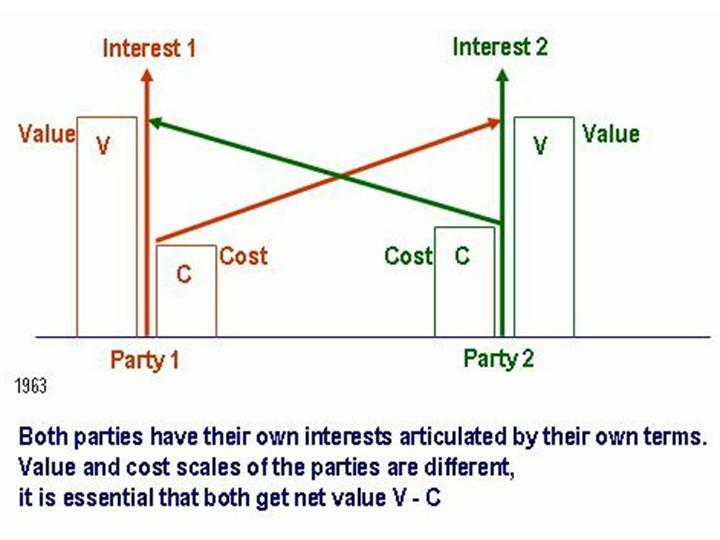 Transaction cost elements are multifariously related to communication between the parties. Increasing communication effectiveness is a great challenge to the development of principles and practices for supplier relationship. In this use of Internet's possibilities is a great challenge because the cost of individual transactions may be decreased to minimum and consequently one may increase the amount of transactions effectively. Internet may also give quite new possibilities for supplier and quality assurance communication, e.g. real time multimedia information, "e-certificate" solutions, and collaborative social networking applications. - Today organizational operation and cooperation are mainly based on knowledge. - Organizations aim at adding value by combining resources, competences and skills through partnering. - Global networking of different organizations is continuously increasing. - Continuous and efficient exchange of information and knowledge is a necessity between organizations' all stakeholders. Both number and variety of stakeholders has increased, and communication between them has increased, intensified, diversified, and speeded up tremendously due to global telecom networks and services. Also company-dedicated internal networks are tightly linked with the public networks. Large part of the information considered is confidential at least to some stakeholders. - There is always also risk that hostile parties intend to infiltrate to one's networks.